I knew the incredible stories of the Bible where David slew Goliath, Jesus walked on water, and the walls of Jericho turned to rubble. I knew them and loved them. I loved hearing about this God who defied all odds and chose the least likely of people to spread the Gospel. I knew all of these things and yet I chose to live a life that was not glorifying to God. I made soccer my idol and I worshiped it. I only cared about being the best soccer player and I wanted others to talk about me when they watched my team play. When I was 18 years old, my entire life changed. I was diagnosed with type 1 diabetes. For the first time in my life, I realized I wasn’t in control. I was scared. I didn’t even know who or where to turn. Soccer didn’t take my fears away. Soccer didn’t comfort me when I was lying in my hospital bed. 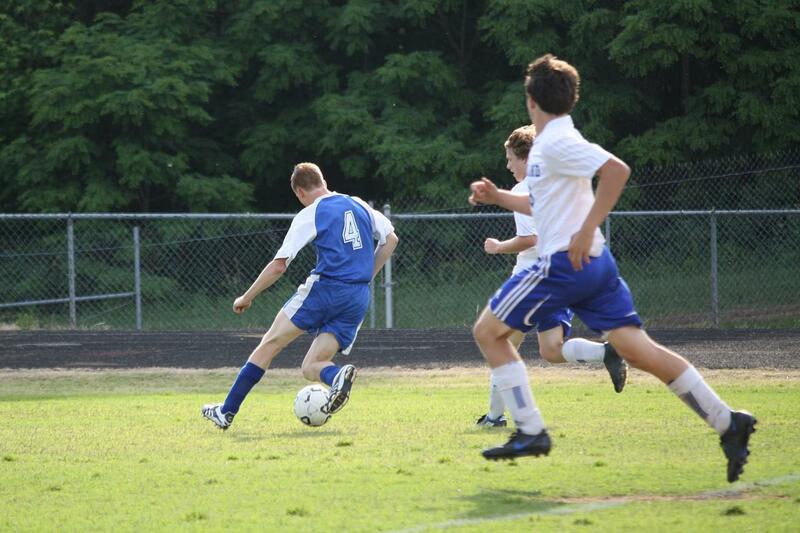 Soccer wasn’t able to reassure me that things would work out. But knowing that God loves me, no matter what I had done, did! Christ’s love was the only thing that got me through the hardest time of my life. The truth that comes from knowing Jesus as our Lord and Savior was the only thing that brought me true peace. The truths I learned growing up began to come alive in my heart. It is because of those truths that I now play for a greater purpose – Jesus!